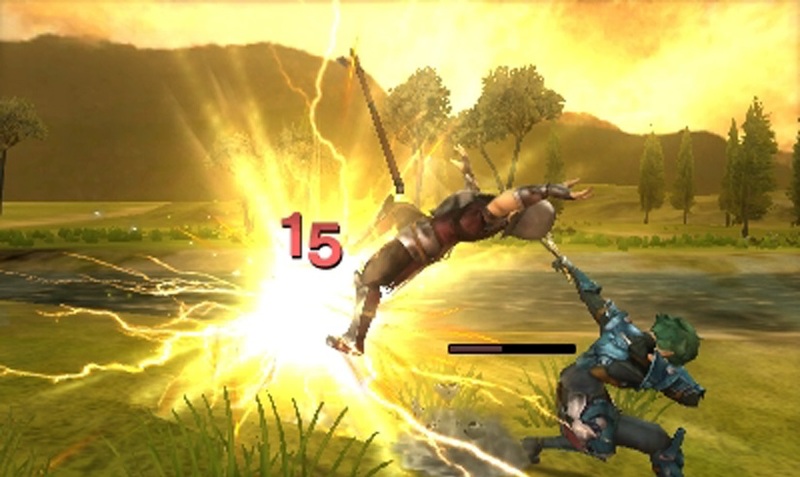 The newest Fire Emblem game is one of the oldest. Fire Emblem Gaiden came out in 1992 for the Famicom, the Japanese equivalent of the NES. We in the west never even saw a game in the series until over a decade later when, in 2003, Fire Emblem released on the Game Boy Advance. And though its no-frills nomenclature hinted at a beginning, our first taste was in fact the seventh of the long-running series. The very first game wasn’t released in American until the Nintendo DS remake known as Fire Emblem Shadow Dragon came out in 2009. All of this is to say that the latest strategy role-playing game is part sequel, part remake, part long-awaited localization. It’s as if The Empire Strikes Back didn’t come out until after The Force Awakens, and all the now-old actors look curiously young. This is a story of kingdoms colliding and families ripped asunder. 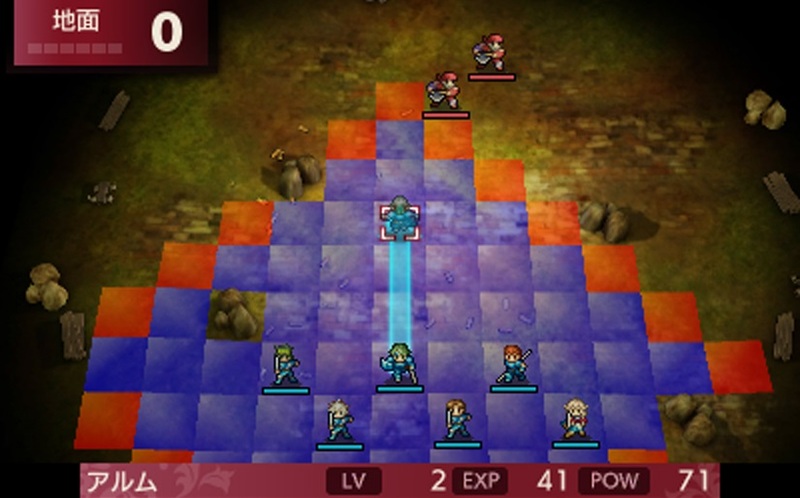 Family is a constant concern of the Fire Emblem games; the most recent release, last year’s Fire Emblem: Fates was a triptych of tales each following the results of the players’ choice of loyalty. Did you stay with your birth family, or fight alongside those who raised you? Or choose neither and remain independent? For Fire Emblem fans, it was a bevy of content (as long as you didn’t mind buying DLC). For Nintendo, it was a sly way to charge $39.99 for a third of the story. Fire Emblem Echoes is a single experience, though buttressed with downloadable content available piecemeal; it’s all optional, and collectively it costs more than the game itself. But there’s plenty here to chew on, especially as the narrative is somewhat split. 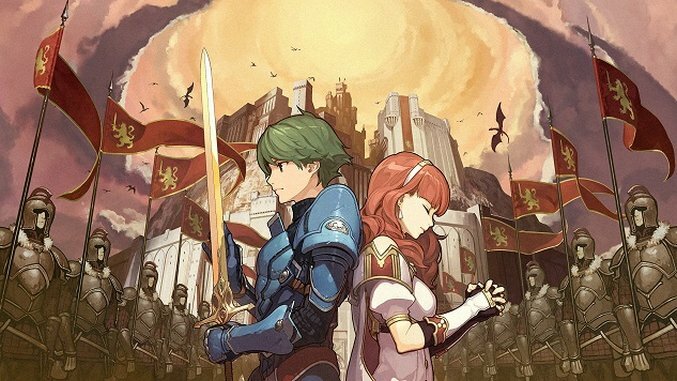 We meet Alm and Celica as kids, who we learn are cousins but not blood-related. (This makes their early romantic overtures kosher.) When she’s taken away for unknown reasons, Alm vows to seek her out and find her so they can be together. The story takes place in the future when, as an able-bodied adult, Alm ventures into battle to protect their crumbling kingdom. Unbeknownst to him, Celica was in fact a princess; part way through the game, you take control of Celica and her allies. Eventually the twain shall meet. And when they do, you can be sure that conflict and story twists ensue. Though the bulk of the game concerns you leading armies into battle on a grid-based location, choosing where to move and when to attack, these are not nameless, faceless pawns. Each soldier has a personality. You come to understand them. You see their relationships unfold. So when one of them inevitably falls in battle, it’s not just a number ticking downward but a character cut down before their time. Tradition among longtime Fire Emblem fans dictates that losing a character requires a fast restart in order to save them and maintain your perfect run. Newer games, this one included, allows for a “Casual” mode where nobody dies and everyone makes it to the end. I like to play these games not as time travel OCD tests nor everyone-gets-a-trophy winning exhibitions but, in the spirit of the theme, more like war simulators. And in war, there’s no such thing as a perfect run. If you’ve come to this series only in the past few years, this Fire Emblem may be a rude awakening. There is less focus on relationships; recent games have allowed characters to marry and even have kids, who you then can build up to fight alongside his or her parents. None of that is in Echoes. Nor does the battle system hinge on the “weapons triangle,” a kind of rock-paper-scissors system of checks and balances that was introduced during the Super Famicom days and has remained in place since. Axes were stronger than Lances, which were stronger than Swords, which were stronger than Axes. The first time I stepped onto the battlefield I tried maximizing damage by seeking out the appropriate enemies only to see no discernable difference. The strategy here comes elsewhere: Taking advantage of terrain, or goading in enemies to attack your most-protected soldier before swooping in, or selecting the right balance of characters (you can have ten at once) for any particular battle. Explorable dungeons are also a change from recent iterations. Not every encounter begins from the overhead grid view; now you can enter shrines or hangouts or caves and walk through 3D space, seeking out treasure chests and deciding whether to engage in combat or not. Foes walk around and will attack you if you’re spotted. Once engaged, the battle shifts to the familiar overhead view. Just be sure to avoid the undead heathens known as Terrors lurking in the darkness. At first I wondered if I’d care. Another ancient kingdom, another gang of ne’er-do-wells that rise up to become warriors. But there’s something uniquely satisfying about Fire Emblem’s brand of combat and progression. Blows land with a satisfying, squishy crunch. With each battle condensed into one-on-one encounters, the act of striking another down never dulls with repetition; this is no Dynasty Warrior massacre of thousands at a time. Still, to some Fire Emblem is a numbers game of damage counters and risk management. You can turn fight animations off to speed things up, but then you might as well be punching equations into a calculator. Skirmish after skirmish, your band of brothers and sisters grows (and dwindles). Once you reach a tiny conclusion with Alm, the story flips and you control the story from Celica’s perspective. Each gathers around them a crew of friends and confidants. Each perspective enlightens the other. The slow burn of getting stronger feels good but also earned. And since you know any character’s fight might be their last, you take more care to keep them around. As the enemy’s lance rears back you inhale and hold that breath. Will the pointed steel slow-down and emit sparks, signaling a coming Critical Hit that could drop not only your best archer, but the funny guy with anachronistic speech patterns? You’d miss his long range effectiveness but also his biting quips. The bad guys have their moments, too. Between each battle we see conversations among the multiple characters being juggled, whether flanks of troops or far-off Kings gathering their minions. Before a fight, insults are flung and threats administered. You will be called a “baseborn cur.” A friendly will “beg a boon of you.” One early encounter exemplifies the tongue-in-cheek mix of frivolity and the grandiose that characterizes the storytelling. It’s a funny line. As they say, sometimes you’ve got to laugh to keep from crying. One by one we fell. Eventually my team was outnumbered and outmatched; no strategy could push back the forces in our way save natural disaster. The end of the war was imminent; victory was far-off and illegible, like a signpost in the desert blasted by sandstorms and made hazy with heat vision. Still I pressed on. And when the final blow came, I fell knowing that my story had not ended before its time. Sometimes the bad guys win. This was the end of the game. My game. You may well march on through to the end, vanquishing the final foe and marking your triumph with blaring horns and townspeople chanting your name. But in time their cheers, too, will die out, echoing one last time before fading away. Fire Emblem Echoes: Shadows of Valentia was developed by Intelligent Systems and published by Nintendo. It is available for the 3DS.